As in the entire life, self-adjusting and integration are rewarded also in the international business. Exceptions are in fact wanted highlights and point out the particular and the “not usual”. Economic growth requires infrastructure and infrastructure shall be covered by economic growth.Exactly these rules and exactly this interaction are accommodated by the Zoz Centers. The goal of the Zoz-TDC Center is to promote Zoz technology and business as well as to support the entire Zoz Group in Japan and to develop advanced and most frequently nanostructured materials on site. Additionally a small scale manufacturing of the same is offered which is oriented in the range of several kilos up to a few hundred kilos per month. This shall be done in cooperation with Tohoku University virtually next door at Sendai and Josai University at Tokyo. The high-tech corporation TDC is one of the top ranking companies in Japan specializing on high-precision surfaces (polishing down to nanometer range) and components in micron-size – thus one can e.g. acquire sharp edged cubes with an edge length of 0.03 mm that can only be seen under the microscope ! Products of TDC are currently travelling in space with the Japanese Hayabusa mission. Insofar Zoz regularly is involved in the generation and functionalization of super large surfaces of (powder) materials namely so-called nanostructures, whereas TDC endeavors by polishing – so to say by leveling down to the nanometer range to make these surfaces as small as possible – and thereby functionalize alike -. e. g. optical or chemical functionalization. So similarities and opposites equally bring us together where the key of the similarities may be described by the term “family owned business”. Quick decisions, very short paths and the conviction to get things going have provided the decisive factor, to virtually super-fast bring up the Zoz-TDC Center and the pace seems to be maintained. 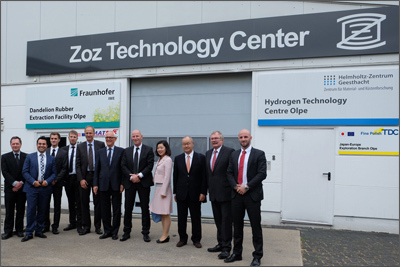 In June 2015, Prof. Zoz said to this literally: “after the first contact in April at Hannover Fair – so just a few weeks ago – there was a whole menu of proposals from myself and never before I have seen in Japan that someone was even in an attempt able to decide that quickly and goal oriented. Now they are here, a corresponding cooperation with Tohoku University at Sendai is already on the way and soon we will be there with a branch. My utmost positive surprise may insofar be caused by the fact that we so far in Japan only know the really big ones like Toyota or Sumitomo or universities and institutes – and at the exception of one of our major customers, namely Fukuda at Kyoto, did not have anything to do yet with family owned businesses. On top of this a woman as the corporate decision maker – this is something particularly exceptional. And I`m saying thank you very much to everybody involved and I am looking forward to the joint future in Japan as well as in Europe. The Zoz-TDC Center is an independent activity inside Zoz Group representing all Zoz products and services in the Center’s hemisphere. This predominantly for Zoz GmbH which guides to advanced materials and their processing and manufacturing. The most conveniently connected International airport is the Haneda International Airport (HND) at Tokyo. From there, every few minutes the Tokyo Monorail commutes within 20 minutes to Hamamatsucho Station. There one changes to the Keihintohoku Line and 3 stops further and 5 minutes later arrives at Tokyo Central Station. From Tokyo Station, one continues with the Shinkansen (high speed train, JR-East) to reach Sendai Central Station 1.5 or 2 hours later, depending on what type of train you have caught. 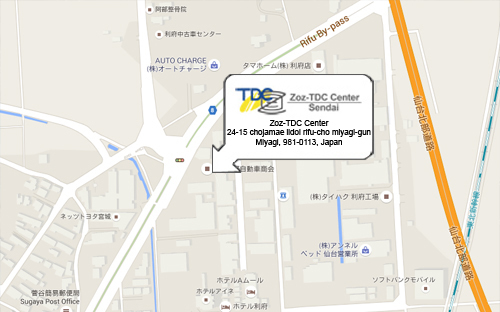 From Sendai Station, the 15 km away Zoz-Center TDC can be reached within 30 minutes by taxi. The Tohoku University is 5 km away and can be reached within 10 minutes by taxi. All together, for the trip Haneda-Sendai, one should calculate 2 – 3.5 h. The trains do not serve at night! 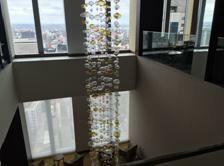 If you need to stay overnight, we can most frequently offer a cost-effective rate at the 4-star “Westin Hotel, Sendai”. In any case Zoz Travel will help you with all kind of travel, local transportation and booking services.